It's been a while since I did any promotions for my children's picture story books and so thought I'd set one up to start your kids summer reading off with a bang. From 12am PST on 2rd June until 12am PST on 5th June you can grab a kindle copy of Out and About at the Zoo for just $0,99 (Normal price $2,99). 5.0 out of 5 stars Great for the Grandkids! This is a fun, short book for the grandkids! If you love reading to your children or grandchildren, this book will become a family favorite quite fast. The simple wording and bright interaction of characters makes it easy for very young readers and exciting for toddlers still listening. As a early childhood educator I find this book exactly what I like to read to my preschoolers. Colorful, well illustrated and attention keeping. A "read it again" story. I'll be sending copies to my great grands for Christmas. 5.0 out of 5 stars Wonderful Book for Kids! As a mom I can tell you there is no better compliment to a children's book than to have your child say, "read it again" when you finish reading a book. This is exactly what happened when I finished reading Out and About at the Zoo to my 3-year-old. The story is a short one and I'm sure from the title you can guess what it's about. 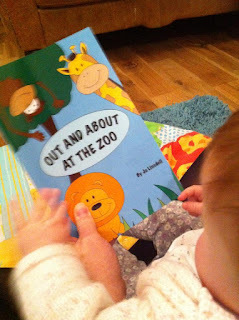 My little one couldn't get enough of the friendly, illustrated animals that inhabit Ms. Linsdell's zoo. Unlike some illustrated children s books that look like they're trying to win a modern art prize; Ms. Linsdell's illustrations are very approachable for children. The story is uncomplicated, which makes it easy for younger readers to follow along. I review many books. When I see a children's picture book, I tend to savor the artistic way the writer and the artist tend to mesh. Sometimes its the blending that makes a simple child's book something really worth reading. Out and About at the Zoo is a combination of the artist and the writer being the same person Jo Linsdell. She crafted a very cute and adorable children's volume. 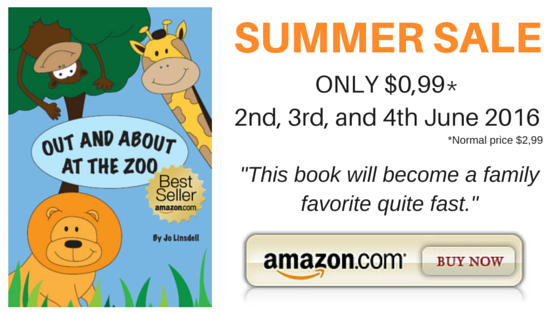 This simple children's book with bright colors of animals from the zoo is crisp in it poetic delivery. 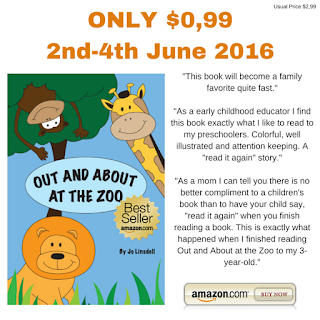 The art sparkles in its simple characters of the zoo animals. 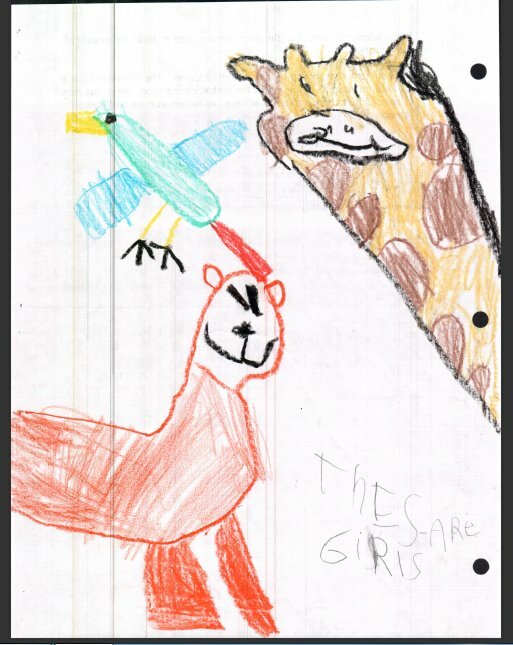 Ms Linsdell seems to know her target audience and gives them a bright a images for them to enjoy. These young children will delight in this books rhythms that come from its verses and art. It is a good book to give for those young and young at heart. 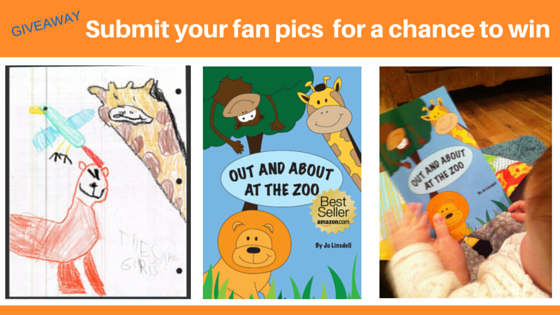 And don't forget you can download free Out and About at the Zoo printables from the FREE Resources page.